Vossloh is a world leader in production of points and crossings and their associated equipment, for all types of rail networks. 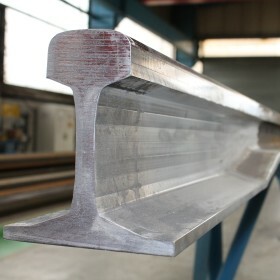 In both conventional and very high-speed rail applications, the forged tongue is a key component in track points and crossings. The profile of the switch rail is different from that of the connecting rail, which has a running profile. Forging is performed at the heel of the switch rail, enabling the intermediate railway to be welded to the adjacent rail. Today, to meet the growing demand on the market, Vossloh can produce over 20,000 forged tongues a year and supplies to any standard required all over the world.